THE cheapest Mini since the brand was resurrected in 2002 has been launched for $24,500. 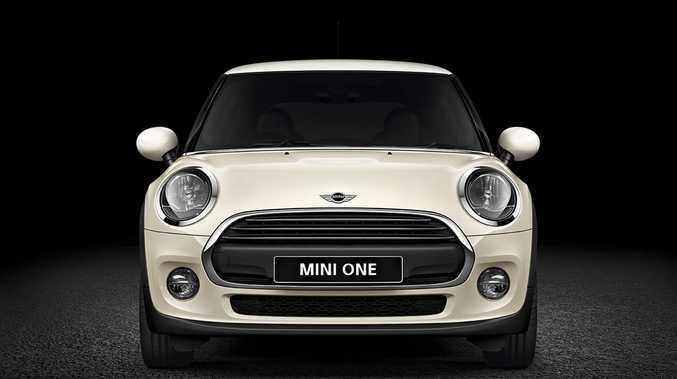 Mini One replaces the previous entry-level variant, the Mini Ray - but is promised to offer more power, greater economy, more sophistication and a higher feature levels. It is powered by a 1.2-litre version of the three-cylinder engine currently found in the new MINI Cooper Hatch and delivers 75kW and 180Nm of torque. Sprinting from standstill to 100kmh takes 9.9 seconds (automatic 10.2 seconds) while fuel consumption is 4.9 litres/100kms (automatic 5.0L/100km). This latest generation Mini has grown in every way over the predecessor, boasting increased dimensions for the chassis, body and interior space. Standard equipment includes Bluetooth and USB interface but also offers automatic start/stop with keyless go, servotronic power steering, dynamic stability control including traction control and electronic differential lock as well as colour line in carbon black. "The improved performance, higher levels of sophistication and equipment levels as well as the attractive price will ensure the exciting MINI brand is on the shopping list of more Aussies customers", said Kai Bruesewitz, general manager for Mini Australia. "The new Mini One Hatch embodies the same technical and quality advancements demonstrated in the rest of the new Mini Hatch range, and when compared to the previous entry level model, offers customers greater performance, improved comfort and a lot more value for money."